During the 2018 Women’s March, the president of Planned Parenthood called on white women to step up their game. It’s been a rocky first year for President Trump to say the least, and women came out in full force this weekend to let him know that they were going to hold him accountable and head to the polls. On Sunday, during the march in Las Vegas, Nevada, Planned Parenthood president Cecile Richards told white women that they needed to do more to “save this country from itself,” as women of color have been doing this whole time. 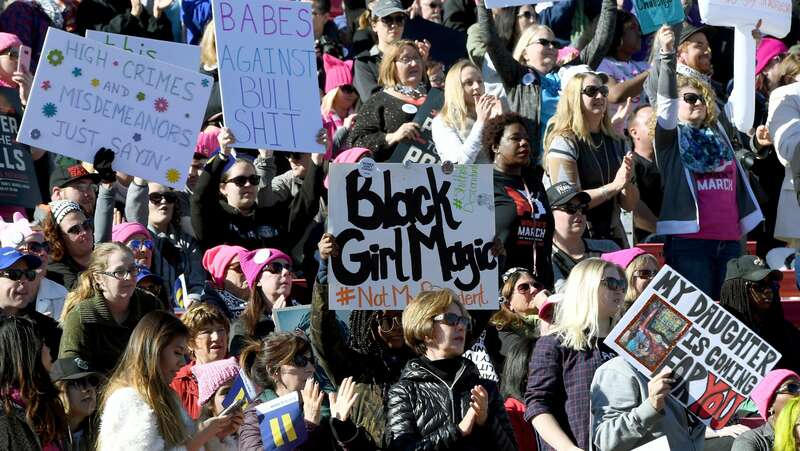 Richards made sure the women at the march, whose mantra of the day was ‘power to the polls’ knew exactly who deserved the credit for those successes, too. “These victories were led and made possible by women of color,” Richards said. For example, the historic victory that saw a Democrat elected to deep-red Alabama came largely on the backs of black women, who showed up in record numbers for democratic incumbent Doug Jones to carry him to victory over republican bible-thumping, teen-girl chasing Roy Moore. According to CNN, Black voters showed up for Jones in greater numbers than ever before, making up 30 percent of the electorate. For comparison, that’s higher than the numbers for the 2008 and 2012 elections of Barack Obama. And while Jones got 96 percent of the Black vote overall, that number is even higher for Black women, at 98 percent. In comparison, Moore received the votes of 52 percent of college-educated white women. “So, white women, listen up. We’ve got to do better. … It is not up to women of color to save this country from itself. That’s on all of us. That’s on all of us,” she said.